Everyone, without exception, struggles with both sin and suffering. Letting people know that we’re all in the boat together can go a long way. Blown it recently? Me too. Done or said things you wish you could take back? Check. Family relationships strained? Yup. On the lighter side, maybe you’ve added a few more pounds to the scale? Overdrawn your account? Again? Maybe it’s not something you did, but something you received, like bad news after a doctor’s visit. Everyone, without exception, struggles with both sin and suffering. When we’ve found ourselves in these situations, we’ve all probably been encouraged by someone willing to get into the trenches of life with us. So let’s pass it on. Many of us counsel people in the church, and letting them know that we’re all in the boat together can go a long way. The common bond you have is not so much the type of sin and suffering as much as kind and degree. LET THE PERSON KNOW THEY ARE NOT ALONE. Let’s look at some examples. Is someone crippled with pressure to impress others? Everyone knows what it’s like to feel like they don’t measure up. Are you concerned that you can’t relate to an addict? Actually, you can if you’ve ever wanted to numb out, eat the whole bag of chips and channel surf for hours on end, and not face reality. 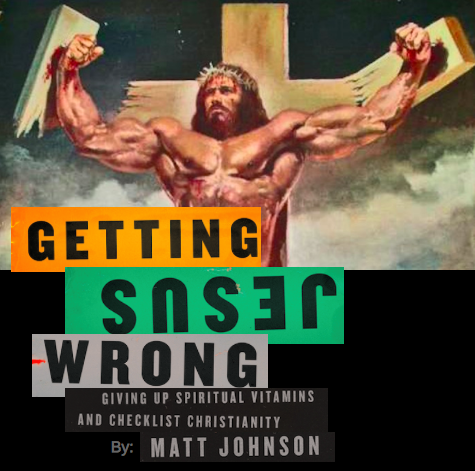 At the risk of oversimplifying things, crippling fear of others’ opinions, awkward social pressure, mindless junk food binging, and full-blown, self-destructive addiction aren’t exactly the same things. But they still come from the same place: Sin. Suffering. Compulsion. And we can all relate. NONE OF US IS ALONE IN THIS. You don’t have to feign sincerity or over-relate. Just let the person know you’re imperfect. You feel tempted and you blow it, too. Have you felt the forgiveness and comfort of your Savior in your less-than-stellar moments? If so, you have the great privilege to pass it on.